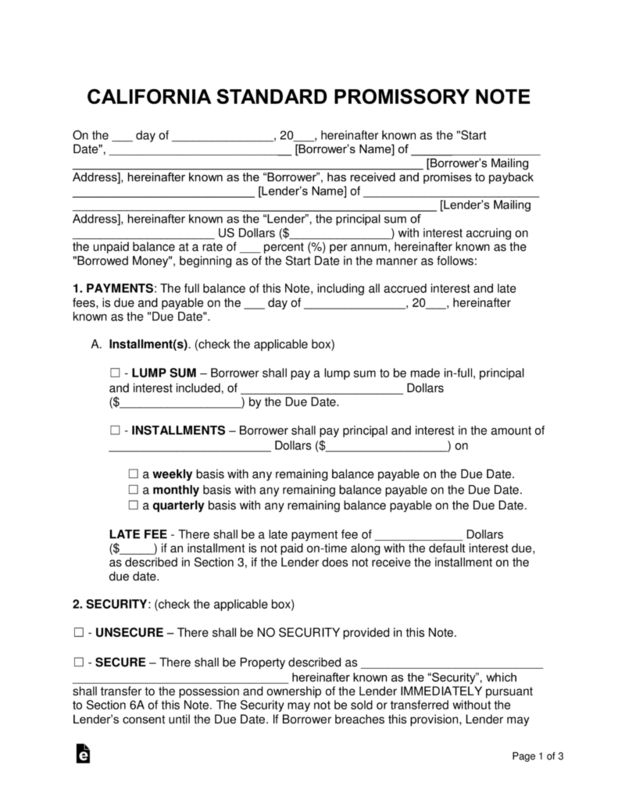 The California promissory note templates are documents designed to add security and structure to agreements involving the lending of money between two parties. Included in the documents are sections that address late fees, interest rates, details on both parties, and other sections involving pertinent information. Once the agreement has been completed and both parties sign the agreement the lender can start the collection of money from the borrower. 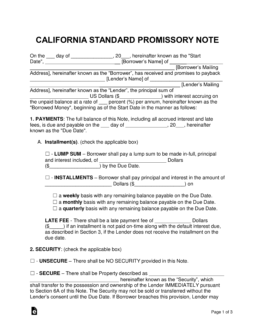 Secured Promissory Note – Provides a greater amount of security for the lender, as the borrower is required to lay out an item or items that the lender receives in the case of a default. Unsecured Promissory Note – Preferred by close friends or family because of the lack of security, this unsecured promissory note should only be used when the borrower can be trusted to the highest degree.